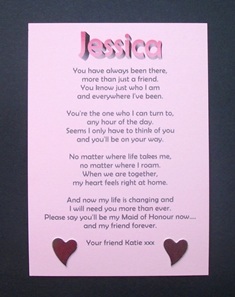 Find out by sending these lovely postcards asking people to be part of your special day. They can also be kept as keepsakes. Find out by sending these lovely postcards asking people to be part of your special day.They can also be kept as keepsakes. Lovely wedding or anniversary present. 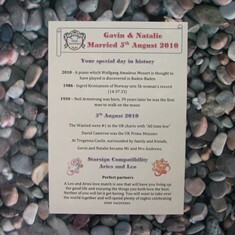 Based on the day the couple were married, includes facts about their special day in years by by, their day itself and star sign compatibility. 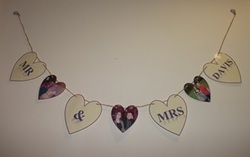 Gorgeous personalised wedding bunting is £11 for Mr and Mrs Surname and 3 pictures of the happy couple throughout their relationship. Your choice of colour wording and heart border.